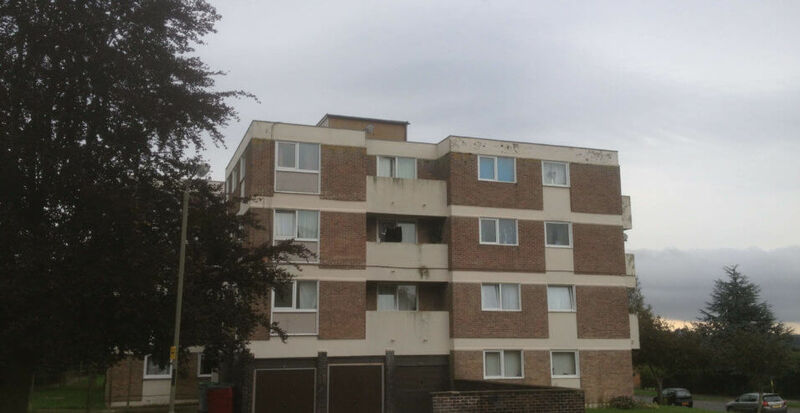 Stonelow Green, Dronfield in Sheffield is no different to most areas with 5 blocks of flats in need of a revamp. We were approached to provide flat to pitched roof conversions on these five blocks of flats in Sheffield. Unfortunately the roof decks were not suitable to take any additional weight, which therefore made our dead load ‘kit’ system unsuitable. In order to fix this issue we decide to use our clear span truss system to create the tall striking mono pitched design. This option will result in the weight of the new roof structure and coverings being carried down through the outside walls of the building adding no additional weight to the existing roof deck. 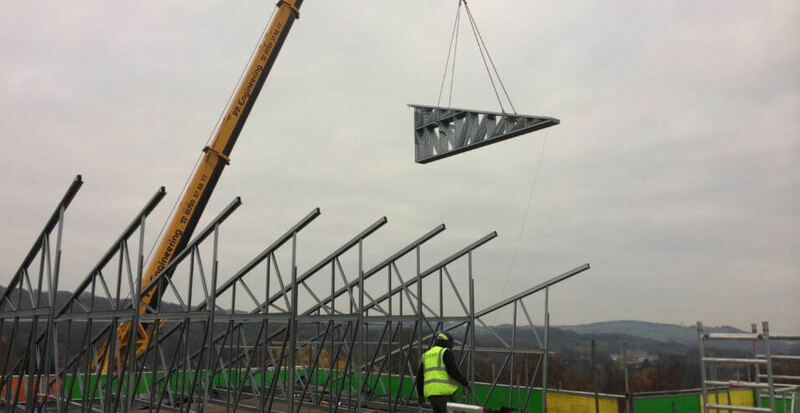 Working alongside Focus Consulting and Morgan Sindall we design each truss into three pieces. Each piece of a truss is manufactured individually in our factory in Barnsley. Following this bringing each piece of the trusses together as one whole and transporting them to site in packs of multiple trusses and craned into situ on top of the flats. 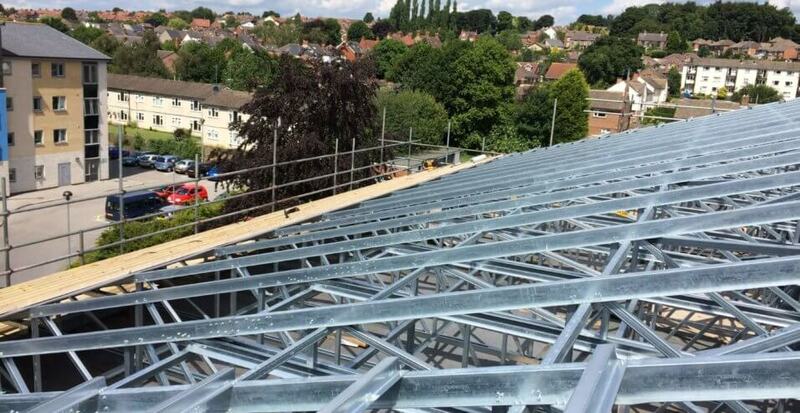 Our specialist installers then started to assemble the trusses on site to form the flat to pitch roof conversion so badly needed on these flats. 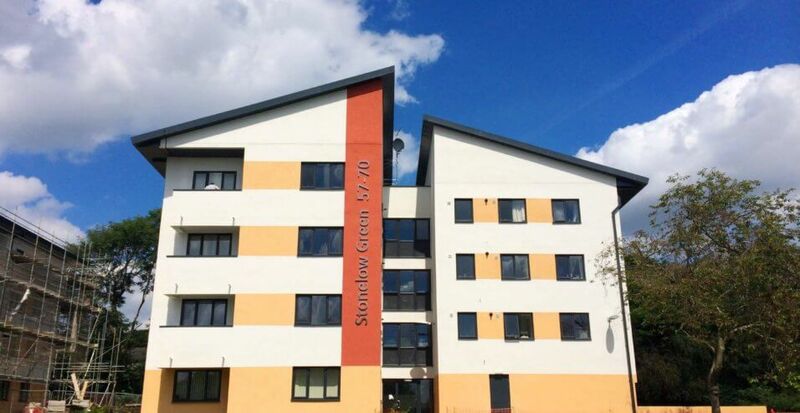 Dibsa, we develop, design and install and this flat to pitch conversion at Stonelow Green is a successful project and what a remarkable difference this project has made to the area.